Do you or someone of yours wear glasses? If so, you know how often they get smudged and needs cleaning to rub off the smudges, which only ends up rubbing them around and not truly clearing your lenses. That's why we have a truly amazing product called Peeps! Peeps are one of the best glass cleaners in the world and use NASA carbon lens cleaning technology which ultimately gives crystal clear view through your lenses. 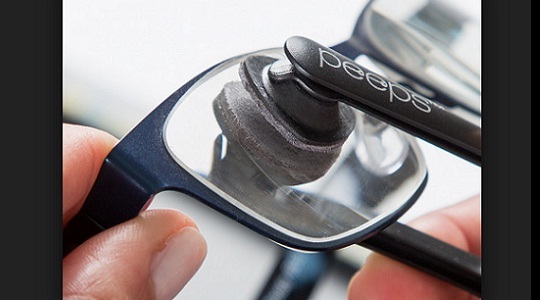 Peeps are small and very portable so that you will never miss them and have clear vision all the time. Grab them on a great offer through our exclusive link.